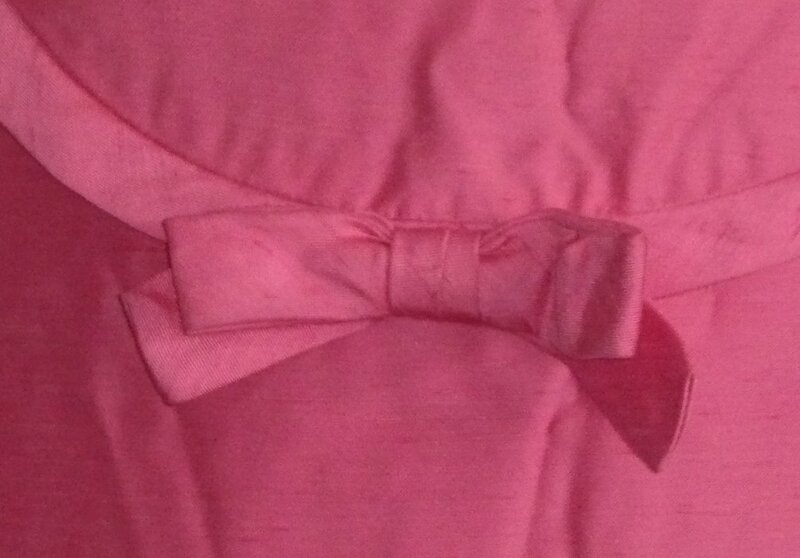 Vintage 60s pink dress with bow. The shops are full of retro sixties fashions again - and I've seen at least three versions of this dress so far! The original is always best, though, and this scores not only on the cut, but on the fabric, as well as the fact that it has not been mass-produced: it's one of a kind, and made with love! It has a long zip at the back, a deep yoke and bow detail at the front - and that's it. I don't believe it's ever been worn: although in wearable condition, it's unfinished. Designed to fit closely, it's closest to a modern UK size 12 (but see measurements below). It hangs beautifully, and is made, I think, from slub silk. Although not marked in any way, it has suffered from being stored, and the hems need finishing...someone was in such a hurry to wear it they have just tacked it! 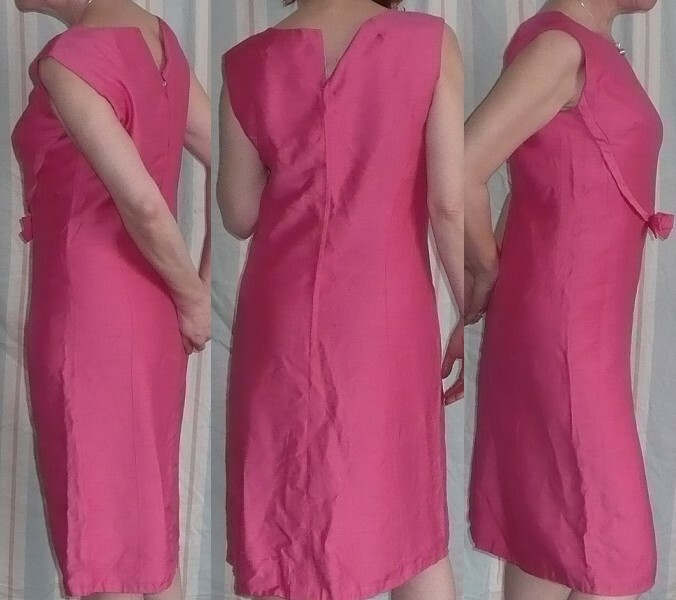 It fastens at the back with a long zip. Approximate actual garment measurements are, bust: 38 ins/96.5 cms; waist: 34 ins/86 cms; hips: 40 ins/101 cms; length from back of neck: 39 ½ ins/100 cms.